Go Wild With Gift Cards This Holiday Season! New business helps shoppers save money on hot items. Who doesn’t love to save their hard-earned cash? Gift Cards Wild offers a convenient way to shop for family, friends and colleagues at a discounted rate. Gift Cards Wild is a new online resource that allows people to buy products for up to 40 percent off the store value. Users can also sell unwanted items. The site’s main goal is to save people money by offering products at a significantly lower rate than retail prices. Gift Cards Wild may be found at www.giftcardswild.com. “You can buy and sell your unwanted gift cards, store credits and/or gift certificates for a great deal and do it safely,” the site says. The site will buy unwanted gift cards for up to 92 percent of the face value. 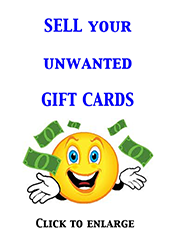 Registered users may also convert gift cards into cash that is spendable at other stores. “On this site, people could convert the cards into cash and use this cash as they want rather than going shopping at stores they don’t like,” the site developer said. Those who place orders on Gift Cards Wild will also benefit from free shipping. Some of the most popular merchants featured on the site include Wal-Mart, Home Depot, Sears, Winners, LCBO, Pet Smart and Tim Horton’s. The site also allows users to create a wish list, which gives them an opportunity to request cards that are not available at the moment. Some categories on the site include automotive, baby and maternity, department stores, books, children’s toys and more. Also, Gift Cards Wild has a page on Facebook where new followers could enter a contest for a chance to win free gift cards. The winners are announced every week! 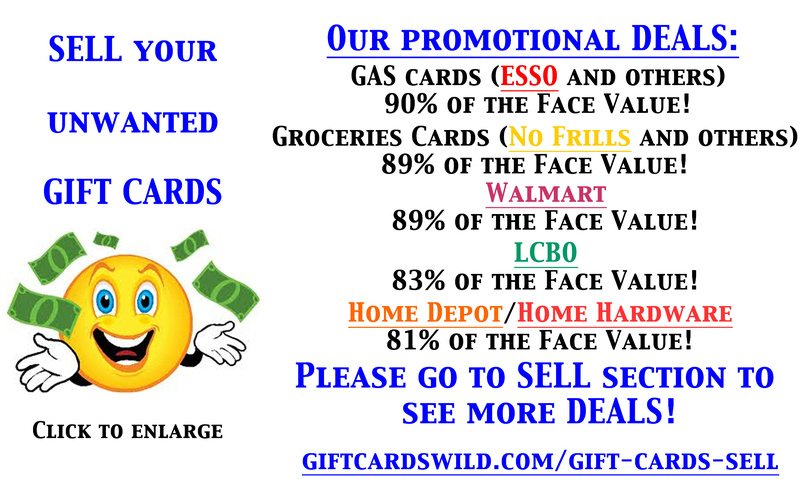 Gift Cards Wild can be found on Facebook, Twitter and YouTube.